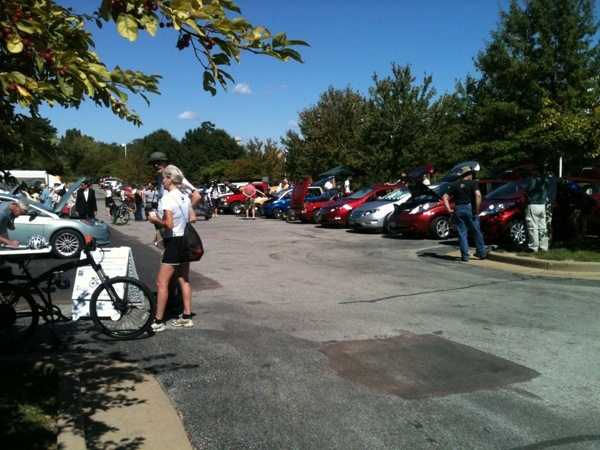 The Saint Louis Science Center has teamed up with the Gateway Electric Vehicle Association to bring you the second annual St. Louis electric vehicle car show! This is a great opportunity to check out what electric vehicles are all about. We will have owners of all the major EVs including Teslas, Leafs, Volts, and even some home built conversion electric cars to check out. The show goes from 11 am to 3 pm on September 21 at the Planetarium parking lot of the Saint Louis Science Center inside Forest Park. Concession stand will be available. Registered attendees report 622,491 electric miles driven.